Jessica Foster featured in the Texas A&M School of Law Natural Resource Program's Fall Newsletter - KELLY, DURHAM & PITTARD, L.L.P. KD&P is proud to announce that Dallas associate, Jessica Foster, is featured in the Fall Newsletter published by the Texas A&M University School of Law Natural Resources Systems Program. A copy of the digital newsletter, with an abbreviated version of Jessica’s interview, can be found here. The full interview can be found here. 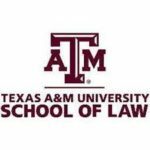 Jessica is a 2016 graduate of the Texas A&M School of Law. © KELLY, DURHAM & PITTARD, L.L.P. 2018 All rights reserved.